Advocates of the so-called “next generation products” insist they are much less harmful than smoking. They also refer to studies saying that these products can help smokers kick the habit completely. A study published last week, conducted by the University College London and funded by Cancer Research UK, found that smokers exposed to vapour product used by others are 20% more likely to try to quit smoking. The UK has decided to embrace the potential provided by e-cigarettes. The government’s new Tobacco Control Plan for England includes a commitment to maximise the availability of safer alternatives to smoking, saying that e-cigarettes have an important part to play in achieving the ambition for a smoke-free generation. In February this year, Public Health England supported the assertions that these devices improve quit rates and reduce smoking prevalence, stating that they produce an estimated 18,000 additional ex-smokers each year. In 2015, the organisation concluded that e-cigarettes were around 95% safer than cigarettes. 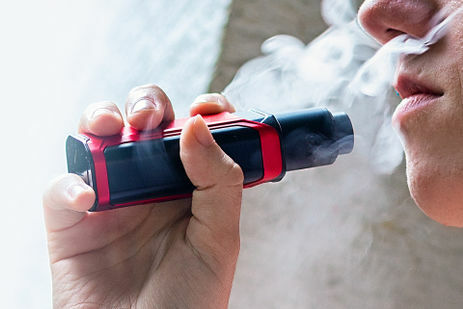 On the other hand, the World Health Organisation (WHO) is in favour of stricter regulation for vaping, while Europe has adopted the precautionary approach in the EU Tobacco Products Directive. Speaking to EURACTIV.com on the sidelines of the E-Cigarette Summit organised at the Royal Society in London, the world’s oldest independent scientific academy, Dr Lion Shahab, an associate professor at the University College London, said the precautionary principle applied by the WHO and the EU is wrong. “There is historic mistrust toward new products coming into the market but the accumulated evidence when it comes to novel tobacco products shows that the exposure to chemicals is reduced by 95% compared to smoking,” he said. “I think health professionals should have a main goal for their patients, to quit smoking. Of course, the ideal option is to quit on your own; but the second best option is to quit with some help,” he noted. “But the primary goal is to quit and for those smokers, who are unfortunately the majority, who cannot follow those options or they don’t want to be prescribed any medication, the physicians and healthcare professionals should recommend alternative nicotine products like electronic cigarettes,” Dr Farsalinos told EURACTIV. Asked if the scientific community is fully aware of the long-term health implications of electronic cigarettes, Dr Farsalinos replied: “We are not and we will never be”. “We must clarify to the public that for every single product, either a consumer product or medication, there has never been a request or a requirement on the long-term epidemiological evidence before releasing the product to the market,” he added. Referring to electronic cigarettes, Dr Farsalinos said the benefits might not be 100% as quitting smoking without using anything, but it’s going to be very close to that. The European Commission, however, does not see these products in a positive light. She also said that Article 20 of the Tobacco Products Directive (TPD) provides EU-wide safety and quality rules for electronic cigarettes. “The article follows a careful approach taking into account the lack of conclusive evidence relating to their long-term health effects, their use patterns and potential to facilitate smoking cessation,” Păduraru said. In an interview with EURACTIV in May, EU Commissioner for Health and Food Safety Vytenis Andriukaitis said e-cigarettes were not the way to stop smoking. “Is it good for health to smoke e-cigarettes? Who would advocate this is very good for health?” he wondered, adding that the best way to stop smoking is to see a medical doctor or a psychologist and get the necessary medicine. “If they use it as a cessation method then one can be under the scrutiny of medical doctors. They know how to help you. Not do it yourself,” Andriukaitis added. Seychell said the EU executive had adopted a “very cautious attitude” and there is a need to continue to make sure that we are collecting the evidence and be prepared to act accordingly as soon as evidence shows that we need to act. “Nicotine is the reason why people smoke and continue to do so. But if you take nicotine without the products of combustion and the products and tobacco smoking inhalation, then almost all of health risks fall away. It’s a harm reduction strategy for people who are continuing to use nicotine and there are millions of those across Europe,” he added. Yes, you can quit with e-cigs, I’ve done it. But don’t forget it’s still a nicotine addiction and you will still need willpower to break the habit. Although less willpower is needed than with old style cigarettes. What then if the health professionals dont have the competence or guidness them self about the product enough, to guide smokers as much today?